Once though of as a side issue and a waste of time for professional promoters, the internet is now understood to be potentially the most effective marketing tool. This is good news for writers trying to promote their own work, because you don't need big money to be a big internet hit - but you do need to know what you're doing. Successful promotion through social networking takes skill and understanding, not just luck. Whatever promotional tools you use, it's important to have a clear idea of just what the product you are selling is. When using social networking it's easy to lose this focus because so many disparate opportunities arise. If you try to talk to everybody about everything whenever you can, you'll end up distracting from your own campaigns and spreading your energy too thin. There are several different products that you, as a writer, can use social networking to sell. You might be promoting a book, an article, a script, or your brand identity - your own reputation as a writer. Each of these products (and others) requires a different approach. Think carefully about the type of people who are likely to be interested in your work. Use keywords to search for appropriate networking groups. Don't limit yourself to groups focused on books or reading, which represent only a small fraction of the marketplace. Focus on your subject and on related subjects, on genre and on demographics - for instance, the age group or gender your work is most likely to appeal to. At its simplest, social networking is just about talking to people, and can be done in person or via the online equivalent, personal email. Whilst it's worth approaching influential individuals this way, however, it's not a practical way to attract the level of attention you need to. What is usually meant by the term 'social networking ' today is the use of an online venue where you can establish large numbers of contacts at once. Facebook - The largest as well as the most diverse social network, Facebook gives you access to a wide demographic. It features lots of special interest groups (you can easily set up your own) and has a built-in advertising facility, though this is expensive. You can do as well simply by making targeted posts; they won't be reported as spam so long as you make sure they're relevant and contribute something of social interest. MySpace - Most MySpace users are under thirty, but that demographic is slowly being extended. 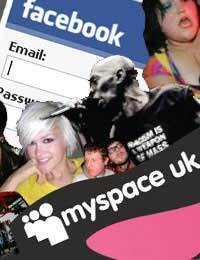 MySpace is enormously popular with music fans and is a good place to promote events of all kinds, including book readings. To use it successfully you'll need strong relevant images and you should try to tie your product in to something perceived as cool in youth culture. LiveJournal - Though not as large and influential as it used to be, LiveJournal can still be useful, partly because it attracts people more interested in reading - it's less focused on short soundbites. It's a good place to post a copy of your regular blog. Be sure to comment on other people's posts and to use the shared interests facility to attract attention. Bebo - This network reaches a very young demographic, with a high proportion under twenty, but many of its users are highly socially active so it can be a good place to kick off viral campaigns for appropriate products. Use strong images and - counter-intuitive though it may be - keep your language simple. Twitter - Ideal for short-notice, quick response campaigns, Twitter requires all posts to be under 140 characters, so aim to be witty and precise. Humorous posts are more likely to be passed on. Use the trends facility to identify popular tags that will get your posts noticed by people with relevant interests. Ultimately, what matters about social networking is not that you promote your product directly to your contacts but that they, in turn, promote it to theirs, and so on. This can enable you to reach thousands or even millions of people without having to do all the work yourself and without having to spend a lot of money. This is known as going viral. Many promoters claim that it's impossible to tell what will go viral, but there are certainly factors that make viral success more likely. Humour is very helpful, as is the incorporation of existing internet 'memes', such as cute pictures of kittens. As when you're writing, start by reading - identify what's popular and find a way to connect your work to it. Be bold, be inventive, and you can be a success.